Nurses and Midwives have rightly said enough is enough. Today’s strike action reflects the fact that the justifiable anger against pay restraing, lack of pay parity and dangerous work practices has boiled over. The Socialist Party fully supports the decision by the INMO to call further industrial action in February and to mobilise for a national demonstration this coming Saturday. 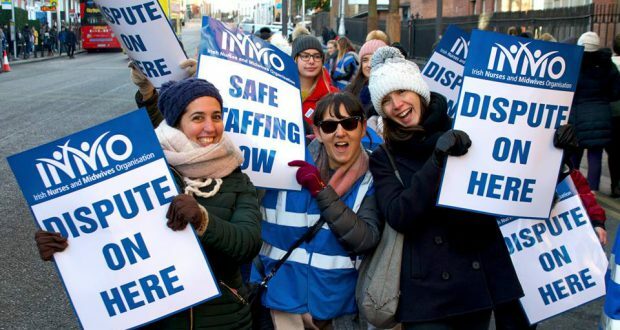 Socialist Party members and Solidarity TDs Ruth Coppinger, Paul Murphy and Mick Barry have called for full support for the strike of nurses and midwives. 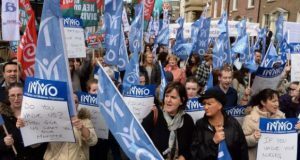 This would be the beginning of a campaign to build solidarity with the INMO and PNA throughout the trade union movement. Any attempts to cut the increments of INMO and PNA members as punishment for this strike, as Varadkar has threatened to do, must be forcefully resisted by the entire trade union movement.